WWelcome to my website and thank you for taking the time to learn a little bit more about the mobile makeup and hairstyling services I offer. Since I left Chicago 22 years ago, I have aligned myself with the most extensively trained makeup artists and hairstylists in all of San Diego County. That means you and your bridal party can enjoy the luxury of having skilled and experienced industry professionals coming to you on your wedding day. There’s no need to schedule last minute appointments at inconveniently located salons. We come to you so you can relax and have fun with friends and family on your special day. We bring music, energy, ideas, creativity, flair and fun to all of our bridal parties. Even though I’m an industry professional with over 25 years in the business, I still get excited at the prospect of meeting a new bridal client. I truly believe every woman is unique and special, and I take great pride in my ability to bring out the best in everyone who sits in my chair. My team and I are reliable, dependable, and professional; and because we’ve done so many weddings together, we know how to manage and provide services for any size bridal party. We understand the importance of adhering to a timeline, and we work closely with many of the best and most highly recommended wedding planners, wedding coordinators, and wedding photographers in all of San Diego County. 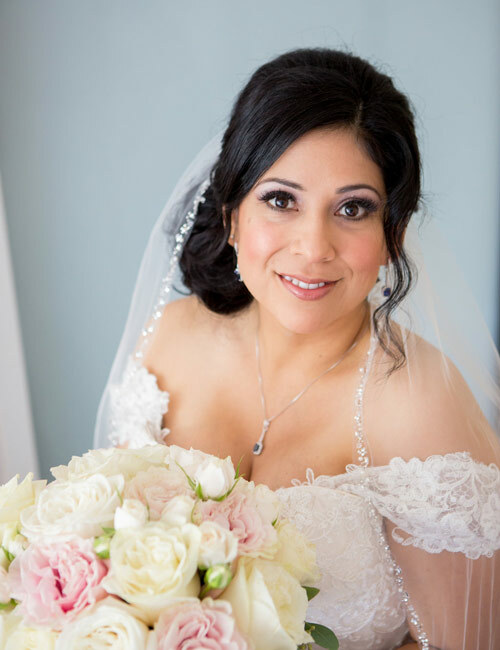 I have over 25 years of experience in the industry so you have access to all of the skills necessary to ensure your makeup and hair will be picture perfect on your wedding day. Our team of highly skilled and experienced artists come to you. We understand the importance of getting you and your bridal party done well, and done on time. As a certified yoga instructor I am able to bring a calm and peaceful presence to your wedding day so you can simply enjoy spending time with your friends and family members. I even bring music! CClaire Young is a professional makeup artist in San Diego with extensive experience in theater, film, television, and photo shoots; as well as bridal makeup and hairstyling for weddings and special occasions. Her experiences includes working as a makeup artist for celebrities on The Oprah Winfrey Show, Good Morning America, Access Hollywood, ABC Sports, and CBS News. 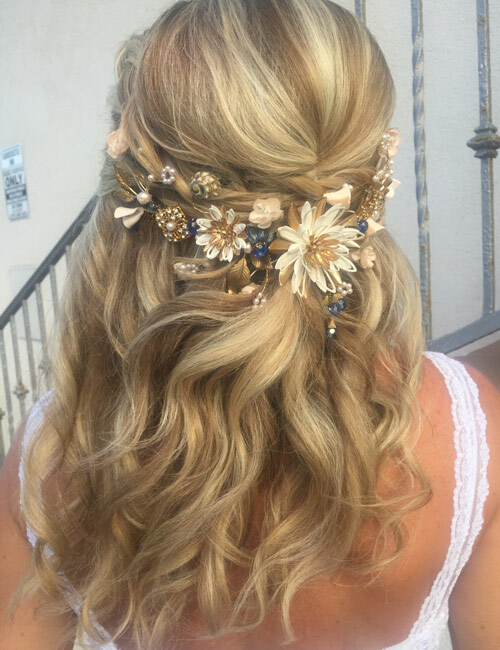 Originally from Chicago, Claire moved to San Diego in 1997 and eventually shifted her focus from film and TV to weddings, special events, and bridal makeup and hairstyling. Claire and her team of professional hair and makeup stylists offer on location beauty services to San Diego brides and their bridal parties. 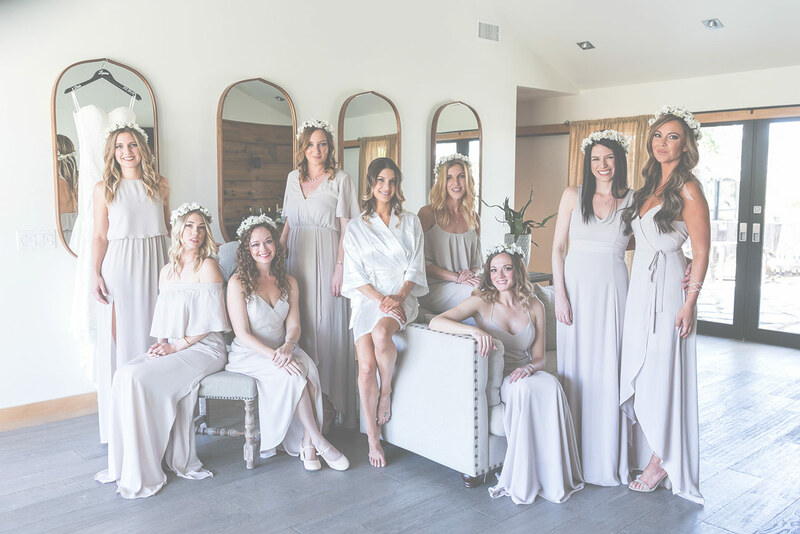 In addition to being a highly skilled and experienced makeup artist and bridal hairstylist, Claire is also a Registered Yoga Instructor who leads classes every week at various locations throughout san diego county. Wedding clients have often mentioned that Claire brings a calm and peaceful presence to their wedding day beauty sessions; as well as providing beautiful, soothing music to accompany the day’s festivities. Claire brings many years of experience to all wedding clients; and has a highly skilled and experienced team of wedding professionals that can be included for larger bridal parties. No bridal party is too big! 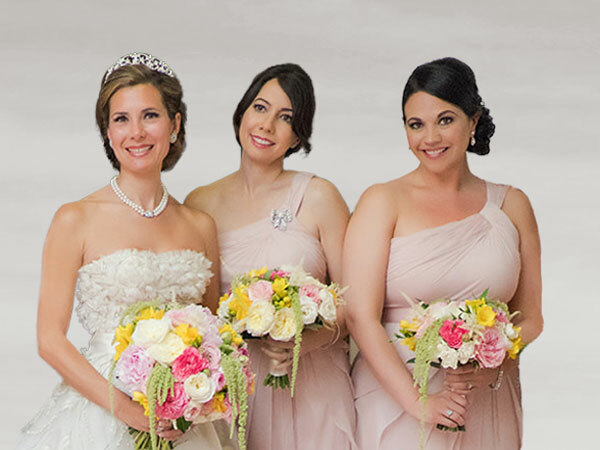 Claire and her team of wedding professionals can accommodate any size bridal party. 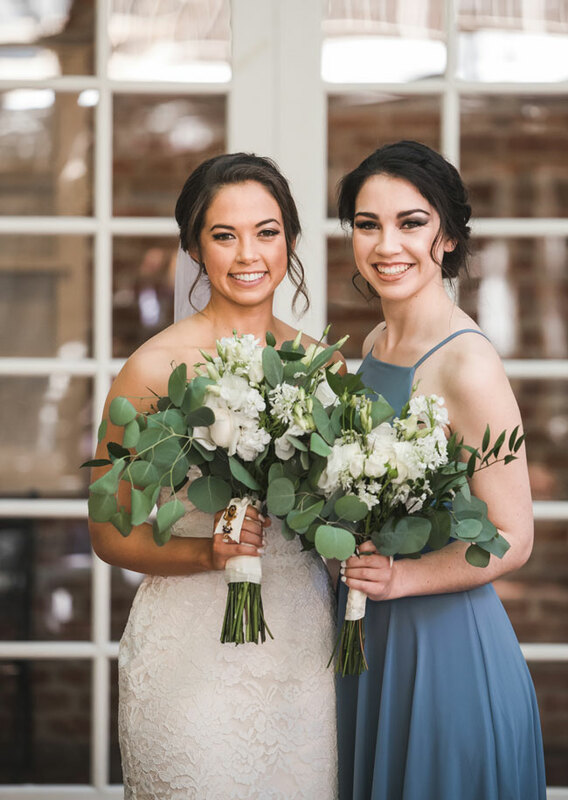 If you’re looking for a highly trained and extremely experienced wedding hair and makeup artist consider booking Claire and her team of hair and makeup experts for your wedding.